Langkawi is a veritable paradise. 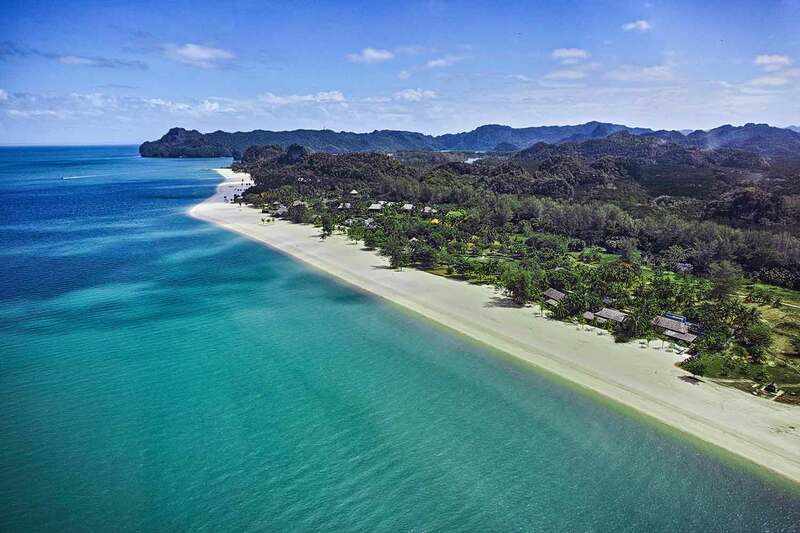 White, powdery sands melt into an impossibly azure Andaman Sea, set to a backdrop of equatorial skies and lush, green, forested karst sea monoliths. A symphony of wildlife complements lightshows of stunning sunrises and sunsets. On its most beautiful beach, a spectacular resort is being reimagined, coinciding with a fabled curse being lifted from the island. My story starts with a legend. For the short time I spent at school in Malaysia, I learnt of many. The mountains I could see from my father’s house in Kuching were allegedly two warring princesses turned to stone. The giant, footprint-shaped crater in the rock in Penang, my mother’s hometown, is said to be that of the godlike Chinese Admiral Cheng Ho. But the most well known of Malaysian folklore is the story of Mahsuri, a young girl who hailed from the Andaman archipelago of Langkawi. Mahsuri was somewhat of a beauty and wife to the lauded local warrior Wan Darus, who fought valiantly in the war against the marauding Siamese (Langkawi sits on the sea between Malaysia and modern day Thailand). While he was away, the wife of the village chief, jealous of her beauty and the attention she achieved from it, framed her in a supposed liaison with a man who was no more than a friend. The vicious rumour caught fire and in the absence of her husband, she was condemned to death. At her execution, white blood flowed from her veins, signifying her innocence. In her dying breath, she cursed the island and its inhabitants for seven generations. 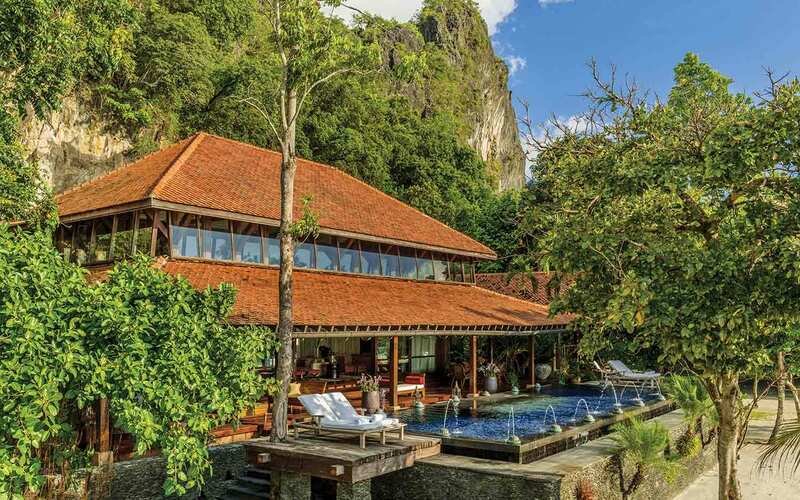 So you’re probably asking what this fantastical story has got to do with my visit to the island and the illustrious Four Seasons Langkawi? Well, if you believe in the legend, a lot. Langkawi is really only just getting the attention it deserves by international tourists, despite many attempts to market it. 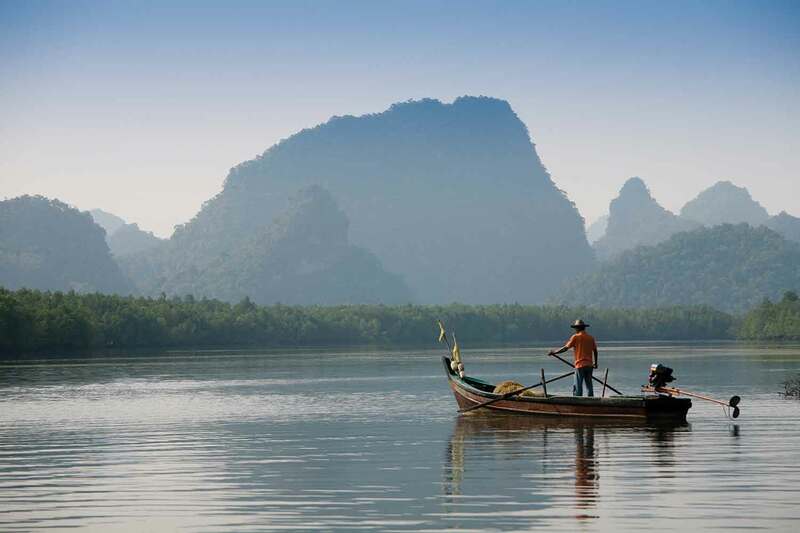 Considering its ‘off the beaten track’ vibe, easy accessibility, beautiful beaches and abundance of culture, it has yet to achieve an infamy comparable to that of its neighbouring Thai islands. But things had not been in her favour – a previous focus on industrial growth over tourism, challenging local politics and a unhelpful monopoly on air travel were just a few reasons. And despite a federal government initiative granting the island with a tax-free status three decades ago, there has been a lack of appetite for development. Some may say it was the curse in action. But, at the turn of the 21st century, things started to change. Firstly, a recovering regional economy increased confidence and foreign investment. 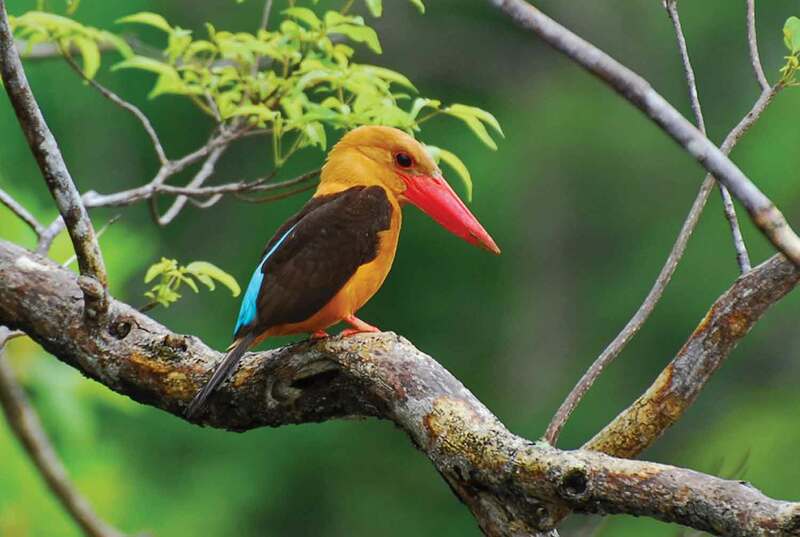 Then, a ban on deforestation and the halt on planting of Malaysia’s ubiquitous cash crop for palm oil on the island was followed by the amazing rediscovery of animal and bird species that were thought to be extinct. And of course, locals will tell you that this time was exactly seven generations since the poor Mahsuri was so dramatically sentenced to death. The upshot is that Langkawi today is getting more well-known. The best and most beautiful beach on the island, Tanjung Rhu, sums up the entire island in one stretch of sand. Incidentally, it is also home to the Four Seasons. Just over ten years after it was first built, I arrive to a period of renovation at the resort. Its palatial, Moorish style architecture is being given a makeover, courtesy of in-demand interior-designer, Bill Bensley. 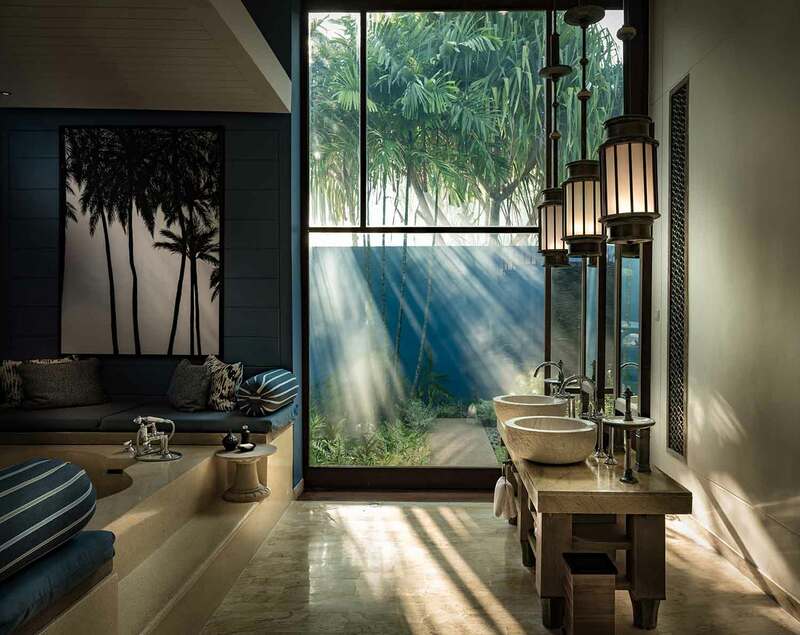 I’m a huge fan of the husband-and-husband team Bensley and Jirachai Rengthong, who are responsible for some of the world’s most stunning works of art in hospitality – including my favourites The Siam in Bangkok and the Shinta Mani in Siem Reap just to name a few. It just seems that of late, every time I walk into a hotel and utter a wide-mouthed “wow”, they have had something to do with it. And true to form, I’m in awe of what’s happening here at the Four Seasons. The resort’s decade-old terracotta facades are being painted a bright, yet calming blue. Previously recessive features are being brought to life and embellished. Eye-catching antiques are strategically placed around the resort, leaning towards a more local feel. Room and villa refreshes are also in order, not to mention the unveiling of a secluded, two-storey ‘Presidential’ villa right on the beach. With everything that’s going on, the Four Seasons still manages to retain a secluded, oasis-like feel. It’s a sprawling resort, so I pick up a house-bike to get around and instantly feel like I’m in a ‘kampung’, a traditional Malay village. This is no accident as it was built just so, with the property’s ninety-odd suites laid out across villas and pavilions, some on stilts with a view of the sea and others in two-storey blocks nestled in perfectly manicured tropical gardens. 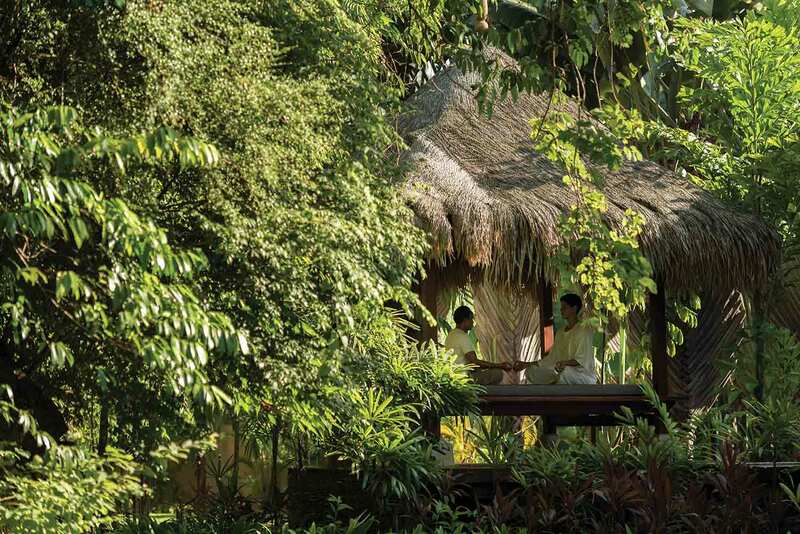 The hotel’s army of gardeners landscape it with meticulous detail and an amble through the resort is made all the more welcoming by a number of warm smiles from the rattan-hatted members of the maintenance team, popping up like ninjas from behind a bush or tree. I notice that there are far more staff than guests at the property despite the hotel running close to full occupancy, which says a lot for the level of luxury and service that the Four Seasons provides. Plus in most cases, they each know you by name. The team zip people around the resort in golf-carts; in fact it is not uncommon to run into one, or have to jump out of their way. This is unlikely to be Bill Bensley’s remit, but I sincerely hope that he recommends a service road as part of the update. My suite was huge, seamlessly blending Arabian theming with more local wood and marble tones. I liked that it gave me a sense of the place; too many Malaysian hotels go either over-the-top opulent, or colourful and contemporary in their furnishings, mainly to please their core of Asian guests who generally have teak and timber fatigue. I’m impressed particularly by the expansive bathroom, like-for-like in size with the main living space, bedecked in local stone complete with his-and-his wash basins, walk-in wardrobe and a terrazzo, hammam-esque bathtub for two, with candles and handmade, natural bath salts for a romantic soak. The floor-to-ceiling sliding doors and wrap-around verandah amplify the space, and allows me to connect with nature, whether from the comfort of my sumptuous, signature Four Seasons bed, or for the ten minutes I spend on the balcony before the equatorial scourge of mosquitos make a meal of me. It’s an inevitable trade-off when you’re in these climes, but I would definitely encourage the use of the repellent and mosquito coils they provide in-room, rather than have the hotel over-fog the resort, eliminating all small-bodied wildlife as a result. 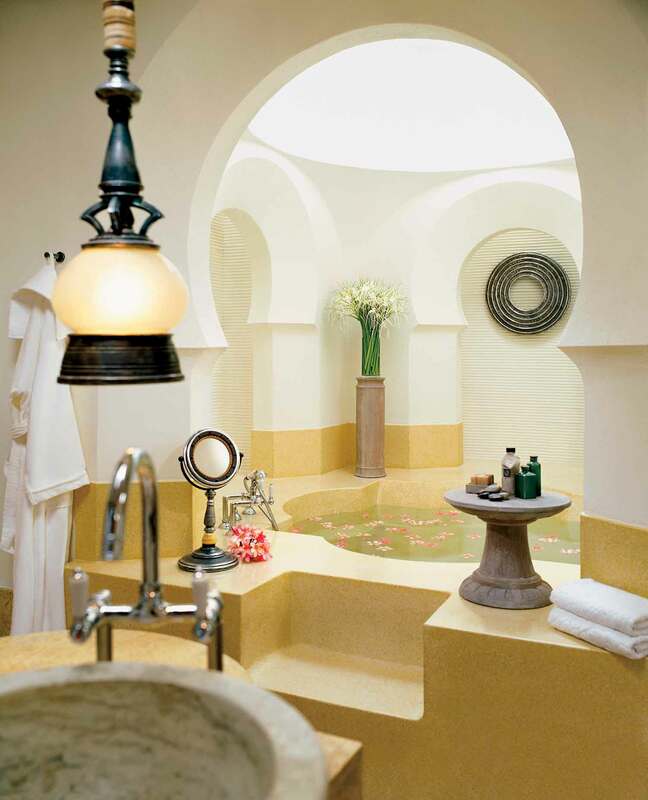 My room is conveniently a hop, skip and jump from the resort’s Geo-Spa, a gorgeous little village in its own right where therapists can kneed away your jet-lag with a range of elemental-themed treatments. My session there was satisfactory albeit a little rushed. But as a seasoned spa-bunny, I couldn’t help but feel that the holistic, big-brand, ‘earth, wind and water’ approach was a little misplaced, considering the Malaysian art of ‘urut’ is a rich vein that could have come through much stronger in the treatments. The hotel’s crowning glory is its private beach and surely, all paths lead to it. The water isn’t crystal clear, fine for swimming, although lazing is much more the sport here, whether in a hammock slung between two unassuming coconut trees or on sun loungers, only ever rolled out when someone needs it. I perch myself on a deck-chair, looking out at the beautiful stretch of sand from one corner of my eye to the other, the perfectly blue sea only interrupted by a superyacht in the horizon. The team here know who is on it, but discreet as they are, they won’t tell me. Instead, they propose giving my sunglasses a clean so I may have a better view. If unlike me, you’re the sort who doesn’t like sand in your slippers, then one of two amazing pool areas will solve your problem, particularly the adults-only infinity pool. 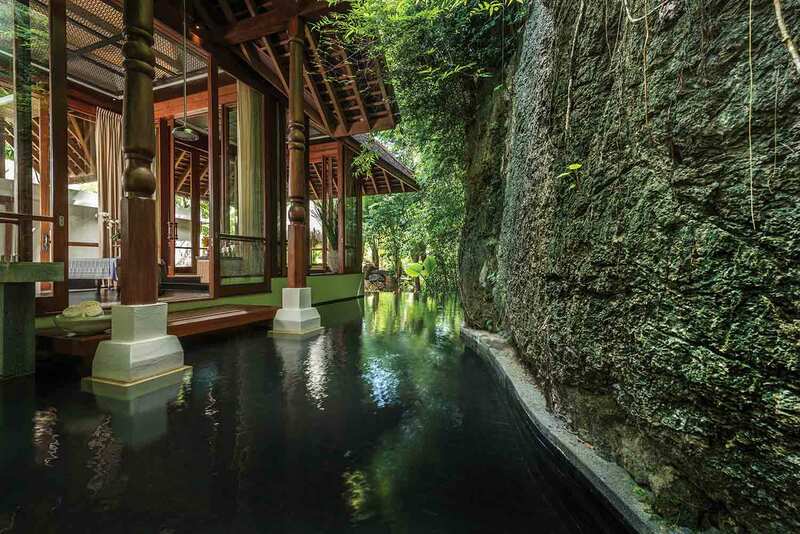 The complex that houses it rises up like a Balinese temple, offering posing opportunities for those who enjoy it and private cabanas for those who don’t. Complimentary (that’s both in the free and charming senses of the word) masseurs will come round to rub in sun cream or ease away your aches and pains. Back on the beach, I up-tempo and engage in paddle-board yoga with the resort’s Yogi. It’s a challenging task, far less yoga and much more face-fulls of saltwater. I tell much of a similar story when it comes to trying out the resort’s supercool X-Jetblade experience, where water pumped at high speed from a pair of strap-on boots catapults me into the air with the sensation of flying. There’s an ungraceful photo of me circulating social media, where I’m flying across the water horizontally instead of vertically, the one time I manage to actually elevate out of the ocean. I resign that some things are just not suited for my 40-year-old self and at that same moment, the Maldivian instructor goes flying into the air, doing a somersault and loop-the-loop, just to show me how it’s done. It’s the only place in Malaysia that you can experience this phenomenon of jet-propelled flying over water if it happens to be your kind of thing. 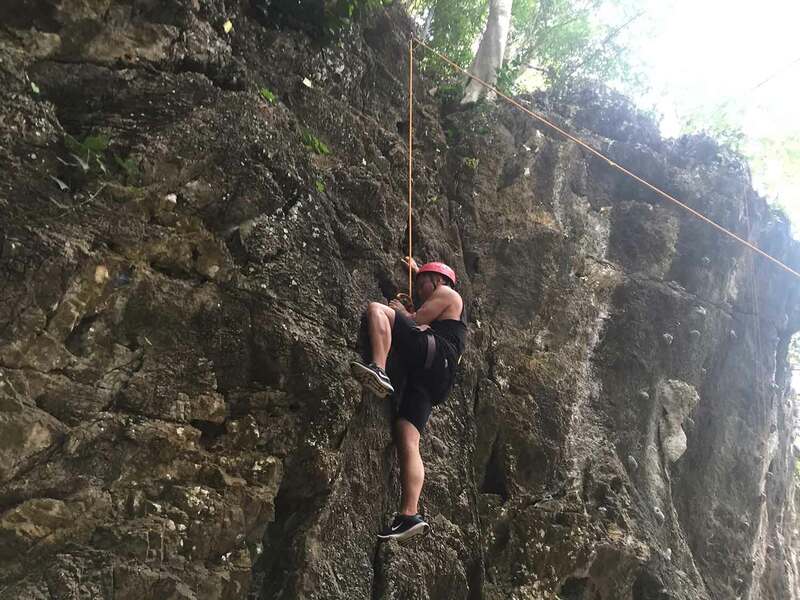 I am far more enthralled by the archery and rock-climbing lessons that I had booked to do that afternoon, in the shadow of the resort’s very own mini-mountain. Having had a taste of the experiential, I am keen to find out more about the island. A guided bike tour to a local village takes me back to the time I lived in rural Malaysia. To ride through the lush paddy-fields, breathing in the fresh air as we take in the view of the countryside and the majestic mountain, Gunung Raya (the epicentre of the island’s mystic power), brings back many a happy memory for me. A far cry from my life in London now, we see beautiful pink lotus flowers float among giant lily pads on a stream. We watch swarms of luminescent dragonflies dance a choreographed display in the air, so graceful, unlike my own X-Jetblade experience. We see exotic jackfruit and tamarind trees, pick fresh, fragrant herbs and delight in other spectacular local fauna, including the mimosa plant, the one that shies away and closes up to the touch. Watching the glee on my partner’s face as he witnesses it for the first time, coupled with my own reminiscence of romping through fields full of it as a child, was amazing for me. And as if my time here has not had its fair share of folklore, we ride up to ‘Pantai Pasir Hitam’, where the sand is black, supposedly from the fires of an epic war between a mythical eagle and a valiant king. Here our guide tells us more local stories and other legendary sites to visit if we were inclined – the ‘Gua Cerita’, or Cave of Stories, ‘Beras Terbakar’, the field of the burnt rice, ‘Pulau Dayang Bunting’, the island of the pregnant maiden, and ‘Telaga Tujuh’, the seven wells, or cascading waterfalls. The island’s magic extends to its natural wonders too – the absolute highlight of my entire stay is a morning out with the resort’s own resident naturalist, the enigmatic Aidi Abdullah. His office on the resort is a wizard’s den of all things to do with the surrounding ecosystem, the meeting point before going out with him on a half-day boat journey to the Geoforest Park. Just a short boat ride along the shore from the hotel, Casuarina trees (which give the beach the name ‘Rhu’), slowly turn into ancient mangroves and the fun begins. 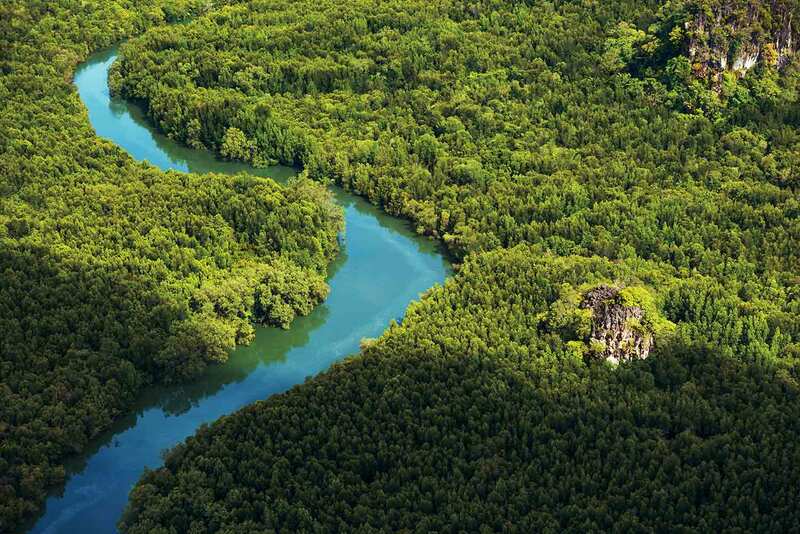 Flanked by limestone cliffs covered in thick equatorial vegetation, the mangroves are home to over 200 species of wildlife – monkeys (who Aidi is on first-name terms with), hornbills, kites, monitor lizards, snakes, tree-crabs and strange mid-evolutionary fish-reptile hybrids. 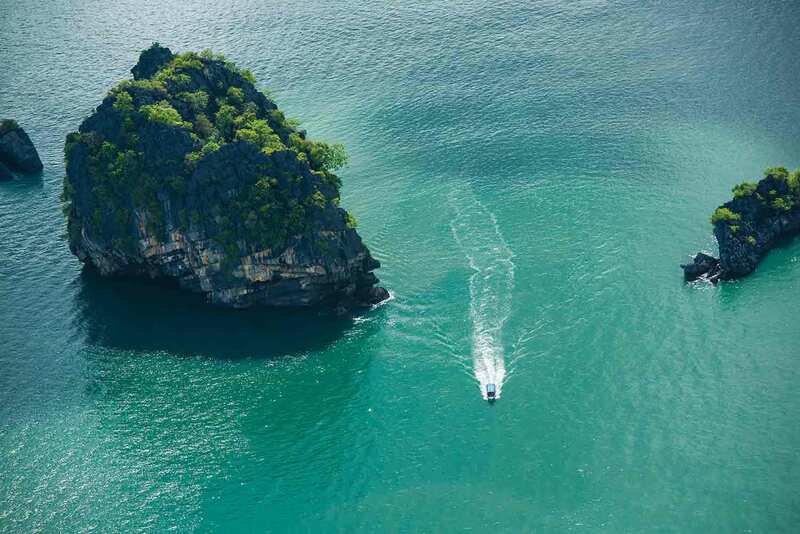 Moreover, it is the habitat of the beautiful golden eagles that are Langkawi’s namesake. But more than just learning about the nature of the area and absorbing his absolute passion for the conservation of wildlife, Aidi provided me with hours of entertaining company, regaling me with many amazing stories in his baritone voice and British lilt – stories of flying planes (he was once a pilot instructor at Langkawi airport), his interest in nature photography and meeting Elijah Wood. Aidi is actually a city-slicker, from the capital in Kuala Lumpur – but he came to Langkawi, fell in love (with the island and with his darling wife) – and never looked back. What I miss most of my childhood, is access to delicious Malaysian food. The buffet breakfast at the hotel is a feast that’s not to be missed, both in its international gastronomy and also its setting overlooking the beach. There are two other dining options on the resort, but the best for me is ‘Ikan Ikan’. While its name literally means ‘fish’, (and rhymes poetically with the Malay word for ‘eat’ –makan) it’s not just seafood that’s on offer, but an authentic à la carte Malaysian restaurant set in a traditional iron-wood, Malay house, serving up mouth-watering (albeit pricey) traditional treats. Let it be known, that I end up dining here four nights of my six-night stay. ‘Ikan Ikan’ offers an excellent sampler of the best in local cuisine, but for me nothing beats a good, authentic, Malay night market, which happens daily in various places on the island. Getting off the resort to sample street food is easy, but requires a minimum taxi charge of RM100 (£20/$25), with a four hour option available for just a little more. If you know the economics of Malaysia like I do, you’ll know that you can have a taxi for a whole day for this amount, with dinner at the market being no more than a fifth of the fare. But that said, it’s absolutely worth your tourist dollars just to experience it. But to really imbibe in the spirit of Tanjung Rhu and the island as a whole, you’ll need to watch one of its spectacular sunsets. The property’s bar is the perfect place to do this, perched on the beach with an uninterrupted view of the horizon. Comfy swing chairs and sofas will allow you to melt into the scene with one of the resort’s signature cocktails in hand, as the sun dips and the sky explodes in vibrant hues. It’s here that I realise that Mahsuri’s curse must be well and truly over, because I can’t imagine there being anything untoward about this most perfect of moments. Malaysia is a Muslim country and life for its LGBTQ citizens can be difficult, with various archaic anti-gay laws still in place. OutThere travellers are very unlikely to experience any discrimination while holidaying in the country and definitely not while at its international hotels, but public displays of affection should be kept to a minimum, particularly when venturing off the resort. When visiting Malaysia, you should be fully aware of the implications of these laws and be sensitive to and respect local customs and regulations, so as to ensure an enjoyable, safe holiday.